Today things moved right along and despite several interruptions I was able to manage to squeeze in my half-hour drawing for Thursday. More progress was made on Water Veil as I continued working the bottom left-hand corner, perhaps next week that area will be finished. Drawing today I realized it will be ever important to go back over areas that need to show slants, crevices and bumpy surfaces, wet-spots, etc. as well as shadows/highlights – I believe that will give me greater perspective of the overall drawing. 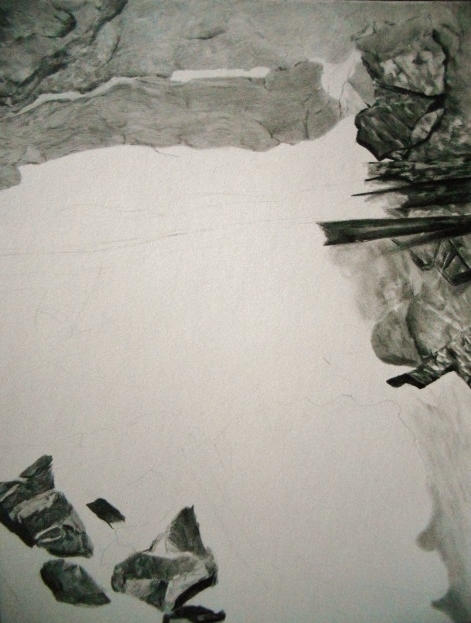 Once the entire underdrawing is complete I’ll work on these mentioned areas and then move on to creating the look of moving water in the form of a veil of water spilling from mid-level rocks and then flowing over and around rocks in the foreground – can’t wait! Today I continued with 4H, 2H, HB, B, 2B and 3B graphite. Here is today’s results . . .
Reference image was from Craig Johnson, a wonderful photographer with pmp. Your work is very nice! Just lovely, Mary! Water is difficult, but you do it true justice! 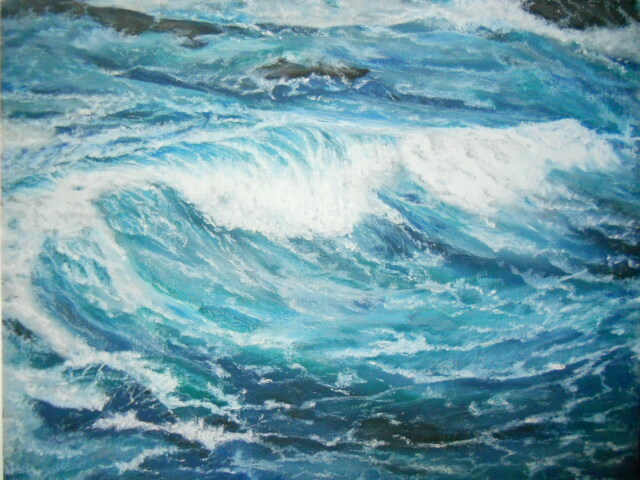 Hi Ann-Christine – thanks for your encouragement, I’m a bit anxious about tackling the water in this drawing. We’ll see what happens once I get working on that area. Thank you Maree for your nice comment! Thanks Elena – one day we’ll all see a new subject and this one drawing will be long forgotten. Only thing, it might be some time, lol. Thanks Annie, we’re getting there – thanks for checking in. So funny Craig, I understand – but this Thursday Drawing exercise is to stay disciplined to 30 minutes once/week. At some point, and I think when I begin to work on the water – I will do a black out on this drawing project and do it all in one setting. Until then we get to enjoy one Thursday at a time. Thanks Craig – always appreciate your support and encouragement.